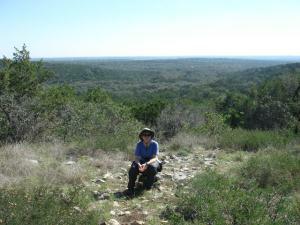 The Texas Hill Country has some of the most beautiful terrain to be found in Texas. There's not a better way to experience it than experiencing it first hand on a hiking trail. Over 100 trails offer a variety of terrain and difficulty. Search our hiking database and hit the trails! Eisenhower Park A nice set of trails adjacent to Camp Bullis in San Antonio. Stay away from the paved paths for a better experience. Balcones Canyonlands NWR - Warbler Vista An interpretive trail guide leads one to learn a bit about the native flora and fauna on this Travis County hike. Mary Moore Searight Park This South Austin parks boasts several trails including paved and natural surfaces.